Nicki Minaj talks being single, her ex Meek Mill, plus more in new interview - Ooooooo La La! 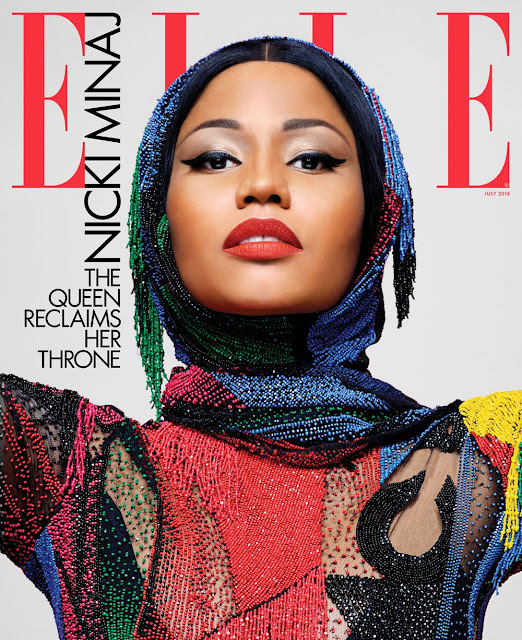 Nicki Minaj is on the cover of Elle magazine's July 2018 issue in which she discussed being single, Meek Mill’s imprisonment, new music, and more. She said being single makes her feel strong and powerful. The 35-year-old Barbz rapper also talked about her ex-boyfriend Meek Mill who, at the time of the interview, was still incarcerated for violating his probation. “I know that when I went there pleading for his freedom, I know that [Judge Brinkley] spoke to me and was very sweet and maternal,” Nicki said of the judge who oversaw Meek’s case. “And we both cried in her chambers, and she gave him another chance. So I don’t know what’s going on." Read Nicki's full interview here.